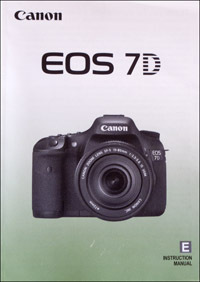 The instruction manual is probably the most boring thing you get with a new camera. It’s funny: you spend a few hundred (or thousand) dollars on a nice camera so you can take brilliantly colorful photos, and all it comes with is a tiny, poorly printed and poorly written instruction manual full of black and white photos! Your first instinct might be to just ignore that manual, or even throw it away before even peeking inside.